A substitution for potato chips? Not quite. 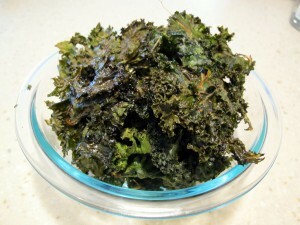 A yummy/healthy/low calorie snack or addition to a meal? Sure! 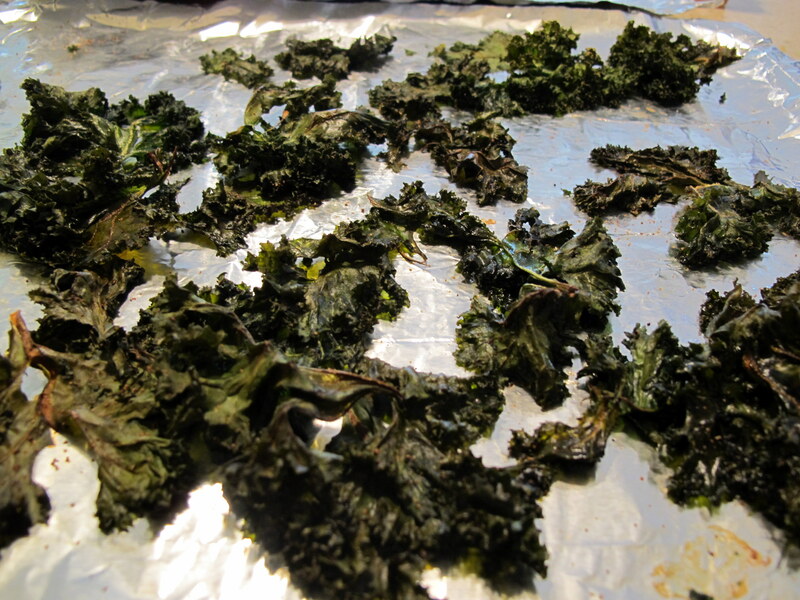 Take your Kale (1-2 bunches), and wash and dry the leaves. Remove the thickest parts of the stems. Bake until leaves are crispy/brown but not burned, about 10-15 minutes. Keep an eye on these! Burned chips are not good..